Wendy Luttrell comes to the Graduate Center from the Harvard Graduate School of Education. She is a leading authority on how urban American schooling shapes and reinforces beliefs about race, identity, knowledge, and power. Her first book School-smart and Mother-wise: Working-Class Women’s Identity and Schooling (Routledge, 1997), the recipient of the American Sociological Association’s Oliver Cromwell Cox Book Award, was based on first person accounts of women, both white and African-American, who were returning to the classroom as adult learners. The ASA also recognized Luttrell’s 2003 book Pregnant Bodies, Fertile Minds: Gender, Race and the Schooling of Pregnant Teens (Routledge) with an Outstanding Achievement in Scholarship Award for its analysis of how pregnant women and young mothers are educated and the stigmas they face. A highly sought-after lecturer and speaker, Luttrell has won accolades for her abilities as an effective teacher. She is editor of Qualitative Educational Research: Readings on Reflexive Methodology and Transformative Practice (Routledge, 2010). 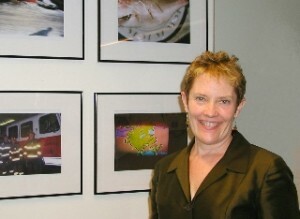 Wendy Luttrell holds a Ph.D. in Sociology from the University of California, Santa Cruz.